Many questions arise about cat vaccines. Are vaccines needed every year, and what are the risks associated with vaccines? What exactly is an advised and safe vaccine protocol for my cat? Are there natural options to just protecting my cat with vaccines? This article will help you understand what cat vaccines are; you will find some of the reasons for vaccination. I will go over the new cat vaccine recommendations by AAFP (American Association of Feline Practitioners), and share my suggested vaccine protocol. I’ll reveal the chief alternative to vaccines, and highlight the current risks associated with feline vaccination. Ultimately the decision to vaccinate your cat can have serious implications, and I suggest that you carefully read this article, making an informed decision that is fully discussed with your veterinarian. Vaccinations have their effect by stimulating your pet’s immune system; their primary benefit being to protect against infectious disease. Vaccines cause the immune system to produce a type of immunity called humoral immunity. This type of immunity is the protection with small protein substances called antibodies. Antibodies attach to so called pathogens (ie viruses) to disable them, preventing them from replicating and doing harm to your cat. In the past, the conventional approach was to get annual ‘booster shots’; the primary thought was that vaccines only provided immunity for approximately 1 year. For decades the practice of going to the vet to get ‘annual shots’ has been maintained, although lately, times have changed. A number of scientific studies have shown most feline vaccines give immunity for several years. These include the core vaccines such as feline panleukopenia ( feline distemper), and feline herpes virus vaccine which have been traditionally given every year. New vaccine guidelines advise giving most feline vaccines every 3 years following the series of kitten boosters. Vaccine risks are many and varied; they are underreported by veterinarians. These include acute, or short term effects of lethargy, pain at injection site, lethargy, loss of appetite, and fever. Then there are the serious side effects of sudden vomiting, seizures, respiratory distress, and collapse. Immune mediated diseases can occur, such as autoimmune hemolytic anemia, allergic skin disease, inflammatory bowel disease, kidney failure, and neurologic conditions. Lastly there are links with vaccines and cancer, such as leukemia, and vaccine induced sarcoma in cats. This is best explained via the immune system responding inappropriately. Your cat’s immune system can turn and attack itself, such as in autoimmune disease, or react at the injection site causing vaccine induced cancer. It is a long list of potential problems. A safer way to make the decision on if you should be re-vaccinating your cat, and be made by assessing your cat’s antibody levels with titers. These titers when measured at a certain level give a good indication if your cat has adequate antibodies to be protected against feline panleukopenia, feline herpes virus, and rabies. Following the series of kitten boosters, antibody titers are a good way to see if your cat is in need of revaccination. Homeopathic nosodes are the main alternatives to vaccines. Nosodes carry the mirror image of the disease; these are miniscule amounts. Nosodes sensitize your cat’s immune system and helps it get ready to defend it against the disease. Homeopathic nosodes are very safe, with virtually no side effects, but the actual effectiveness has come into question. The cat owners that use them claim they seem to offer some level of protection by lowering the severity of these diseases if your cat is exposed to these infections. The specific vaccine regimen I advise is based in my own research and experience in veterinary practice. Kittens only are in need of a series of two vaccine boosters, one at 8 weeks then repeated at 12 weeks. The most critical time to prevent transmissible infectious disease in kittens is while they are young. Preferably in small kittens I suggest to wait until 12 weeks. If not legally required, I suggest delaying giving the Rabies vaccine until 6 months. Kittens should be vaccinated for the respiratory viruses and Panleukopenia (FVRCP – Feline Viral Rhinotracheitis, Calicivirus, Panleukopenia) (MLV). Feline Leukemia (KILLED) vaccine should only be given to ‘high risk’ cats – those in multi-cat households or outdoor cats surrounded by a large cat population. Give Rabies vaccine (KILLED) at 6 months. Ensure that the vaccines are given in the subcutaneous tissue on the lateral sides of the right and left legs. Currently I do not advise vaccinations for FIP (Feline Infectious Peritonitis), Feline Bordetella, FIV (Feline Immunodeficiency Virus) and limited use of Feline Leukemia vaccine in Cats. 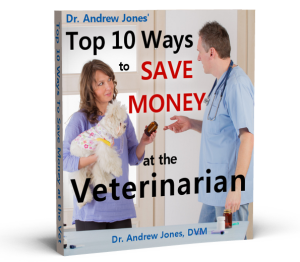 My current advice is to give the feline vaccines at 1 year, then every 3 years until the age of 10. As new research progresses, this may even become more infrequent. 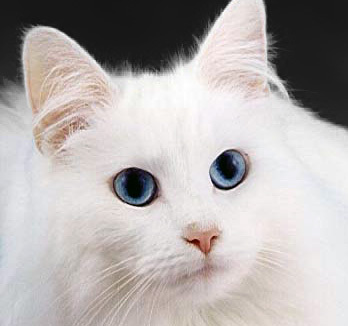 Cat vaccination is an issue fraught with controversy; there are a large number of conflicting opinions. Vaccines offer real benefits, but unfortunately risks, such as short term not eating/drinking, to serious diseases such as vaccine induced cancer in cats. Fortunately organizations such as AAFP are now advising longer intervals between feline vaccines, although the frequency and number of vaccines is being debated. You should look a my suggested vaccine protocol, and educate yourself as much as possible about the cat vaccines and cat diseases where you live. It is your responsibility to make the decision about vaccines for your cat; your veterinarian should be making this decision in conjunction with you. A path to health in your cat should involve a diet high in nutrition: fresh food, fatty acid supplements, some raw meat and minimal carbohydrate. Avoid disease in your cat by boosting your pet’s immune system with increased exercise, and lots of positive interaction by you spending quality time with your cat. I do not agree with declawing, I am sure it is most terrible for them feeling miserable. Am surprised that veterinarians seem to agree with this practice in this century when we are supposed to have animal rights. I am thrilled to have discovered your site! I am into treating completely natural unless proven that a drug would be needed but then I WOULD want to know the side effects! I had one cat declawed once and NEVER AGAIN..he went into depression and I can imagine the pain..!! I was so sorry I asked him to forgive me and never again! I have 8 cats left now..all with their claws and my home isn’t ruined! They need their claws like we need our nails!! At the shelter where I work, we had two cases of vaccinosis where the cats died. In one case recently, the cat never ate again after being vaccinated. We picked up the cat in a colony, it was fixed so in order for him to be adopted, we decided it would be a plus to show a vacc certificate to the new owner. It took the cat two full weeks before dying and he never recovered. The vet said he had lost the will to live. We believe his whole body was poisoned. So now, in order to save our little souls, we decided to use THUJA after every vaccination and anesthesia. It is an homeopatic remedy that dissipate the side effects of both. It is very important after a vaccination that you check if the cat pick up eating again without hesitation.